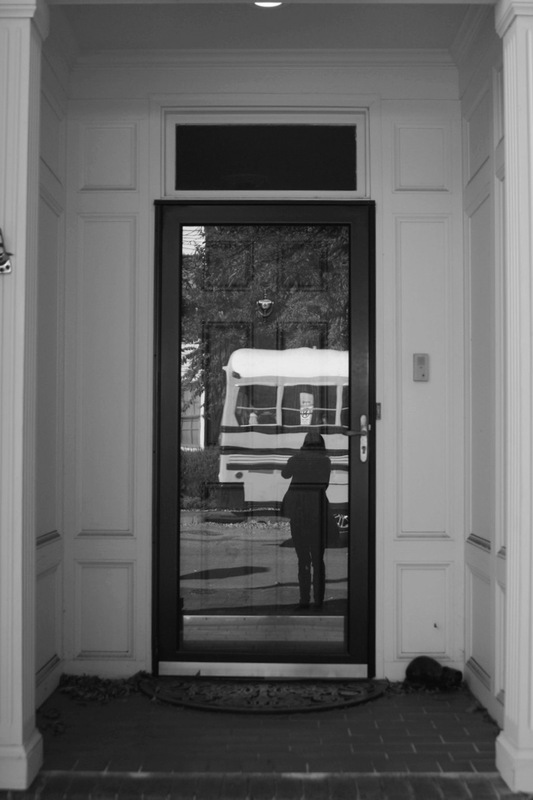 I did a photo series on doors while walking through the quaint housing community in Norfolk. Each door was a different color and different design. This door in particular was a wooden door behind a layer of glass. As a took this photo, conveniently, a bus full of school children drove by and made it into the photo. ← My Photo Featured as Photo of the Day on discoverlosangeles.com, Official Guide to Los Angeles!